Description : The curving, feathery, bright green fronds of nephrolepis are very attractive. It is the most popular and hardy house plant among the ferns. A genus of 35 species widely dispersed over the tropics. 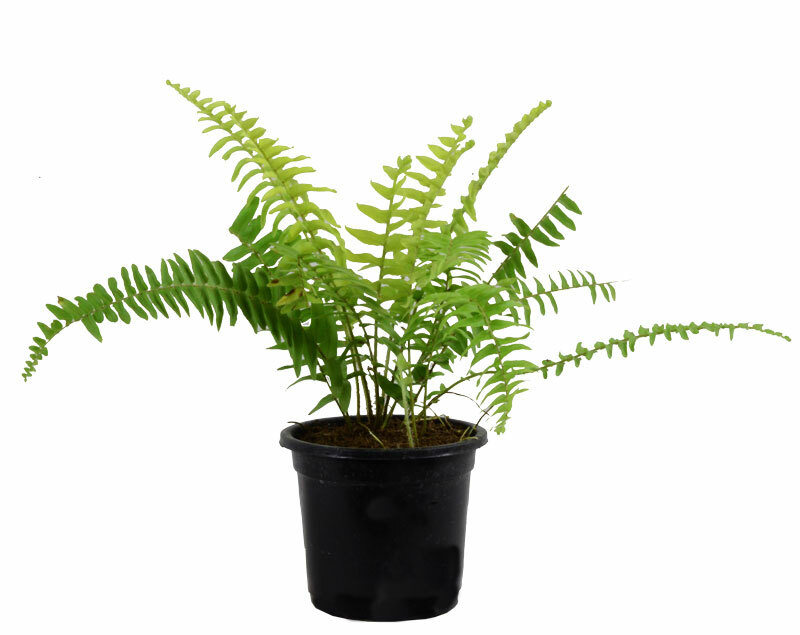 Grow Clean Air Benefits: Ferns are used as indoor plants; they contribute in eliminating toxins from the air such as formaldehyde, xylene and toulene. Formaldehyde is usually found in carpets, upholstery, and air fresheners. It can cause burning in the eyes and throat as well as nausea. Ferns also act as humidifiers and are an indirect remedy for dry skin, usually a side effect of too much air conditioning. COMMON NAME: BOSTON FERN. BOTANICAL NAME:NEPHROLEPIS EXALTATA ‘BOSTONIENSIS’. Fronds rich green, one metre long; leafletsnot lobed and almost flat, pendant.